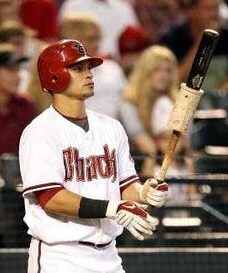 The Arizona Diamondbacks play their last nine games of the season at home. They started this home stand by taking on the Pittsburgh Pirates in a three game series. The Pirates are not in contention for the 2011 MLB playoffs, but that doesn’t mean they are just going to roll over for the Diamondbacks. The Diamondbacks are still looking to make the playoffs by winning at least five out of their next nine games. 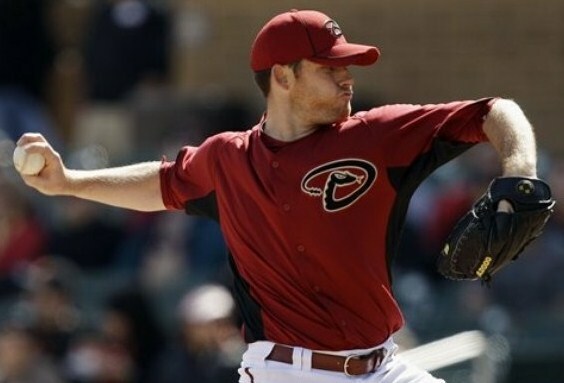 Ian Kennedy started the series for the Diamondbacks, and boy did he pitch a gem. He became the National League’s first 20-game winner with a 1-0 victory over the Pirates. In only his second full season in the major leagues, Kennedy has done what only three other Diamondbacks have done by winning 20 games in a season. He is in pretty good company, as the other Diamondback 20 game winners are Randy Johnson, Curt Schilling, and Brandon Webb. Kennedy was dominant in the game, allowing just one hit and one walk with 12 strikeouts in eight innings. Pirates starting pitcher Jeff Karstens allowed only one run in six innings, but that one run was enough for him to get the loss. Justin Upton hit a home run in the sixth inning with only the handle of the bat left in his hands. The rest of the bat went flying when it broke on the swing. This was Upton’s 31st home run of the season. Closer J.J. Putz closed out the ninth inning to seal the win. The Diamondbacks lost game two to the Pirates behind the pitching of Charlie Morton. Morton allowed only three hits over six innings. As it has gone all season long, the Diamondbacks dug themselves a hole early on. The Pirates got an early 1-0 lead in the first inning, a solo home run in the second, and led 3-0 going into the seventh. The Diamondbacks got on the board in the bottom of the seventh with a single by Willie Bloomquist that drove in Gerardo Parra. The Diamondbacks brought in David Hernandez to shut down the Pirates in the eighth, but he gave up a two-run home run to Derrek Lee, which gave the Pirates a 5-1 lead. The Diamondbacks made it interesting by putting up two of their own in the bottom of the eighth, but it wasn’t enough as the Pirates won 5-3. Starter Daniel Hudson lasted only five innings for the Diamondbacks, and gave up the three early runs on seven hits and three walks. It was about time that the Diamondbacks got their bats going early in a game, and they did just that in the rubber match against the Pirates. They pounded out two singles, a sacrifice fly, a home run, a double, and a walk with their first six batters. They also set a club record with four steals in the first inning, and led 3-0 after one. The Pirates got a home run off of Wade Miley in the top of the second, but after getting five more hits and two walks in the third, the Diamondbacks led 8-1 by the end of three. 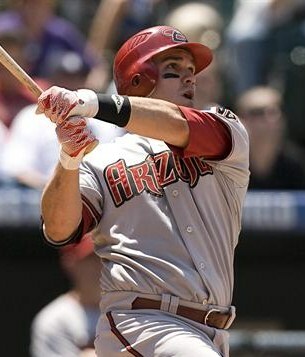 Miguel Montero led the Diamondbacks, going 3 for 4 with two RBIs in the game. The Pirates tried to claw back into the game and made it interesting in the eighth. Down 8-5, the Pirates had runners on second and third with two outs. Joe Patterson came in for the Diamondbacks to get the final out of the inning, and J.J. Putz struck out the side in the ninth to finish the game. The Diamondbacks did what they had to do, winning the series 2-1, and giving them 90 wins on the season. They start a crucial three game series at home against the San Francisco Giants tonight. A win will secure their fifth National League West title. Even with the win, the Diamondbacks have work to be done. The Diamondbacks only trail the Milwaukee Brewers by one game to secure home-field advantage in the first round of the playoffs, and they have the advantage of owning the tiebreaker over the Brewers. With only six games remaining in the regular season, the Diamondbacks still need to win as many games as they can. ~ by Troy Erickson Realtor on September 23, 2011.